It's time for the Insecure Writers Support Group post for August 2018. 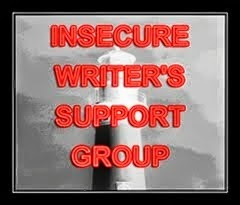 The IWSG is a wonderful network of writers who blog their writerly insecurities out into the world the first Wednesday of every month. Check out the group here. 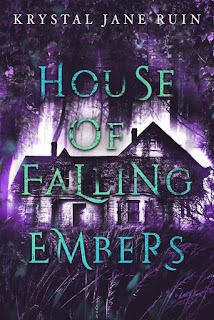 The August question is: What pitfalls would you warn other writers to avoid on their publication journey? So, I'm not a new writer, but I am new to publication--so far I've had four short things published, two of them on my own, two of them by others. I've not really gone down the trad publishing route--that is, I've queried a manuscript for a limited time, but everything else I've managed to finish after that is short in length. And I like publishing on my own, actually. So first, I'd say, see how you want to be published. There are many platforms out there for writers these days to get their work out there. See what works for you. Do your research on any editors, publications, or companies that offer to publish you. Don't pay to be read or published. Be sure any contract you sign is legitimate, that there is a way to get your rights back if need be. But most of all: keep writing. Nothing gets published if you don't write. Ideas are all well and good, but only getting the words down on the page and polishing them leads to publication. Also, a quick note: Blogger has stopped sending me emails when anyone comments on my posts,which is annoying. So sorry if I'm not responding promptly here! I can definitely second everything! I've stunted my journey a few times with long hiatuses, so "keep writing" is probably the the best advice in the world. Oh, I forgot about the IWSG piece you have. I freaked out for a second thinking you published something and I missed it. Lol! Girl, I need to take my own advice sometimes. But then again, I don't do very well if I'm not writing something--even if I take long pauses, I get anxious if I don't write for more than a few weeks. Haha! You're usually one of the first people who'll know if I've released something or even if something is brewing. Yep! Happy IWSG Day to you, too! That seems to be a common Blogger issue right now. I was wondering if it was a blogger wide issue or not! I've had the same thing with blogger. :( It's really making me think about going over to WordPress, but I really like blogger. But great advice! I'm just venturing into querying and there's a lot more to consider. We shall see how things go for me. Keep on writing is the best advice, whether it's for self-publishing or traditional. It's where everything starts. And blogger stopped sending me email notifications too. What the heck?! It’s been annoying without the emails! Can’t say you’re a writer if you’re not writing! I feel like you need to at least explore the options. They’re changing a lot and very rapidly. And also, just to know why you want to publish for. Great advice. There are so many possibilities in the publishing world. Oh, and blogger started doing that to me too. Frustrating. You can get blogger to start sending emails again. I did. Someone told me how. I think you go in and disable to option to email, the set it up again.